Sun, rain or wind, we saw people across NSW and Australia picking up their bikes and cycling to work for Ride2Work Day. 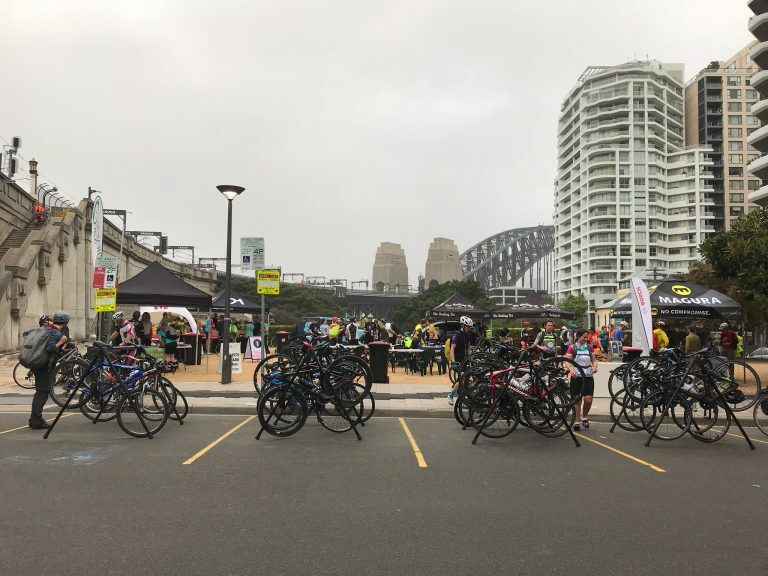 Bicycle NSW Staff attended four breakfasts (Parramatta, Sydney CBD, Macquarie Park and Milsons Point) to meet riders enjoying their cycle to work. Ride2Work day is about showing that people do not need to ride to and from work everyday, or even the whole way. Even a ride to the train station, where people then catch the train to work is a good thing. Every distance ridden by bike improves a person’s health, gives back to the economy and eases congestion. Bicycle NSW wants to normalise bike riding and make it an accepted part of society - whether it’s for transport, recreation or fun. “Even in the rain, we saw bike riders coming through Parramatta on their way to work. A free breakfast, a bike tune, a chat with fellow riders and off they went onto work. It was great to see all types of riders coming through - bike riding isn’t just for one type of person, it’s for everyone. You just need to find the right bike and route for you,” commented Kim Lavender, Bicycle NSW Communications Manager. At Bicycle NSW, we want everyone to have the ability to ride to work, to school, to shops and other local amenities safely but also to have fun. If you missed Ride2Work day this year, don’t worry. Any day can be #Ride2Work day, you just need to hop on your bike and give it a try. Remember, every kilometre you ride is doing you good.